Jet Airways’ first ever non-stop flight connecting Mumbai, India’s economic capital, and Manchester is now operating. 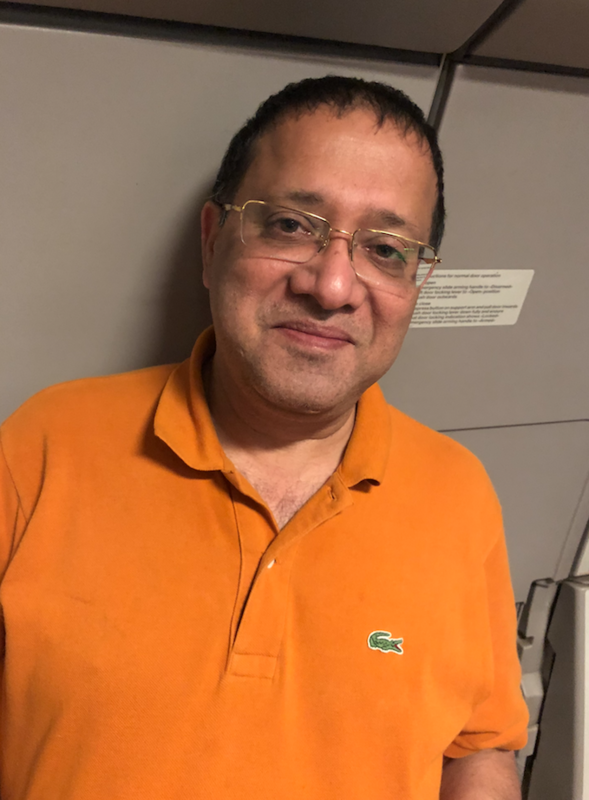 Launched on Dhan Teras (Nov 5) - the most auspicious day for businesses, and second day of Diwali, in the Hindu calendar - our roving reporter Dhiren Katwa was on board the fully booked inaugural flight. 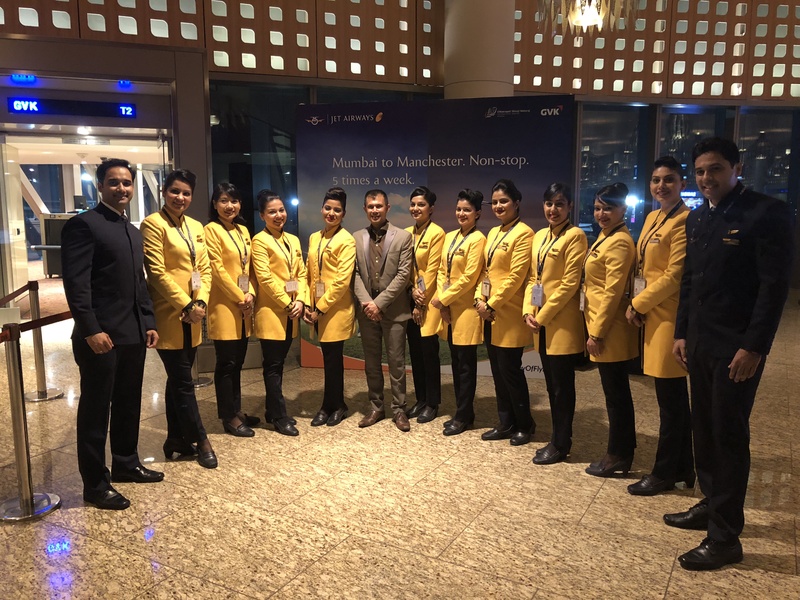 To mark this historic event a series of vibrant celebrations took place at both Manchester and Mumbai airports, as well as on board. 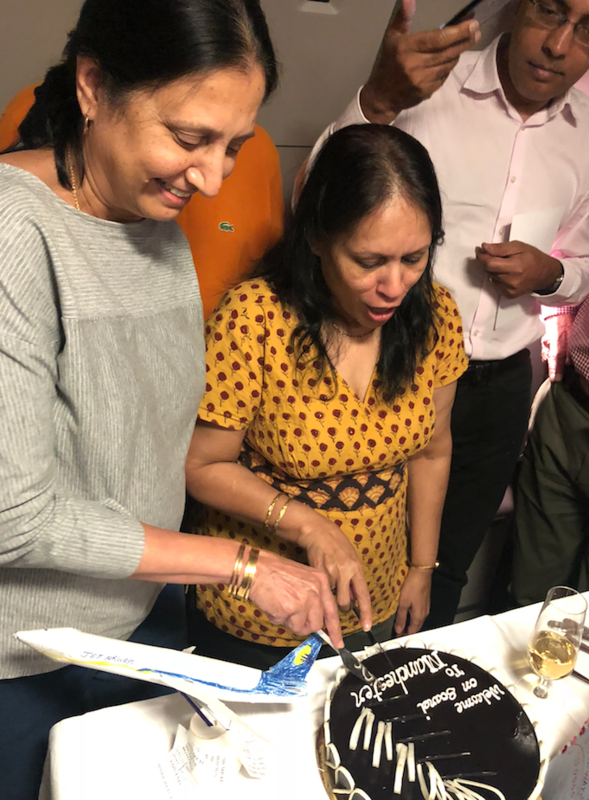 The latter featured a cake-cutting ceremony and premiere class passengers were each presented with a “thank you for joining us as we create history” certificate and a personalised card handcrafted by the in-flight team. The Manchester- Mumbai service is predicted to deliver £400m to the northern economy and builds on the existing Manchester-Goa route. Answering a clear demand for a bridge between the regions, the Manchester-Mumbai service is seen as a boon to holidaymakers and potentially to some of the 500,000 people of Indian origin living in the region. The clear benefits that this flight could bring are documented in a new report, ‘The Northern Powerhouse and India’, which was launched to coincide with the inaugural flight. The report predicts a £400m boost to the region over the next five years, with 2,000 new jobs expected to be created through Indian firms setting up bases in the North. Visitor attractions across the North, meanwhile, are set to benefit to the tune of £12m a year thanks to the expected influx of tens of thousands of new tourists. The report also points to shared strengths like digital, advanced manufacturing and energy – all at the heart of both Greater Manchester’s business sector and on Indian Prime Minister Narendra Modi’s list of economic priorities. India is the UK’s seventh largest trade partner in goods outside of Europe and third largest exporter of services to the UK. Its current economic growth has seen foreign direct investment into the UK create around 6,000 new jobs. These clear advantages to the link-up led to the creation of the Manchester India Partnership (MIP) earlier this year. 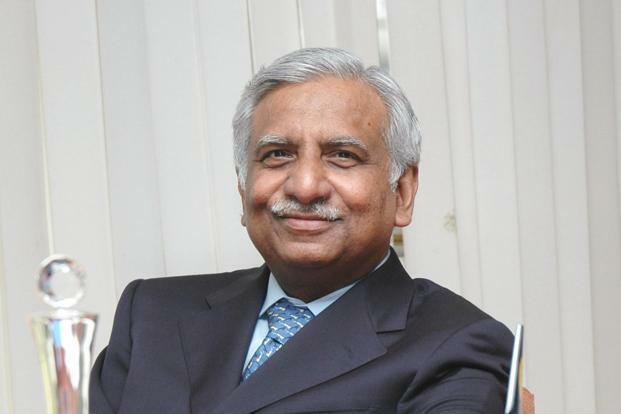 Describing the UK as an important destination, Naresh Goyal, chairman of Jet Airways, said he hoped the Manchester route would contribute to tourism and trade between the two countries. Mr Goyal, who will turn 70 next year, founded Jet in 1992. The airline began its operations in May 1993 to 12 destinations. Today it operates flights to 65 destinations, globally. 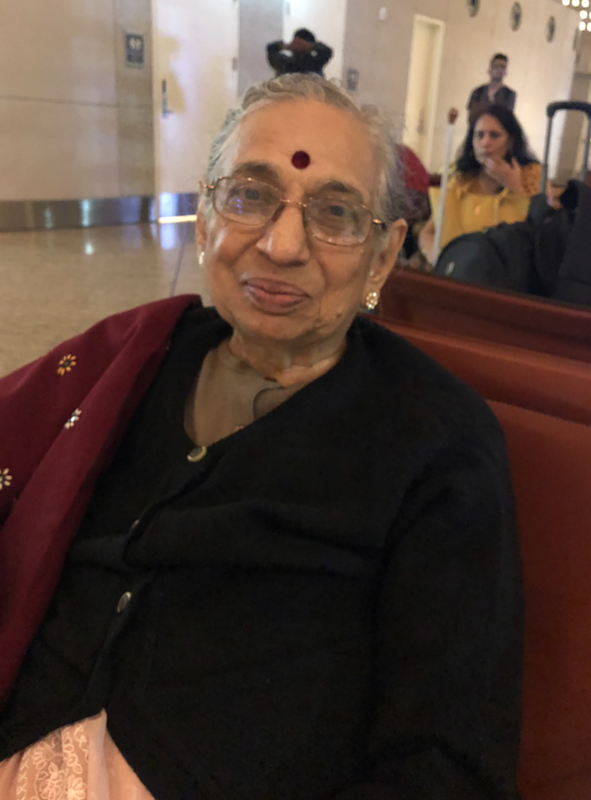 Among passengers travelling on the inaugural flight from Mumbai was Indian citizen Sarlaben Patel. Mrs Patel, 83, was on her way to see her sister in Dewsbury. “The staff are ever so caring and friendly,” she said. Rajesh Gupta, a businessman from Calcutta was on his way to see his son at Huddersfield University. He said: “It’s awesome. I’m really delighted at this new route and I wish Jet Airways every success.” Nadeem Majid, MD of a Manchester-based travel agency, now in its 25th year, described the new route as “fantastic news for the North”. 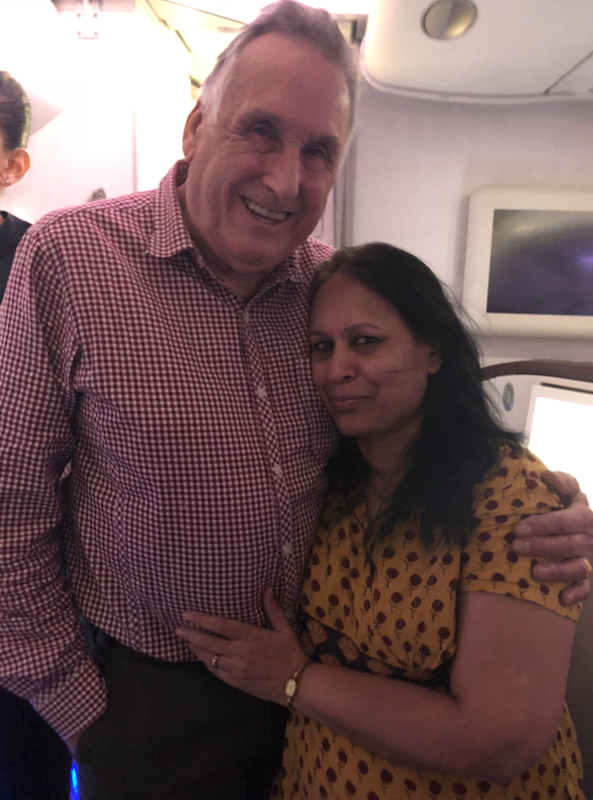 Couple Tony and Neelima Kirkham said they enjoyed the inaugural flight experience but were of the opinion that the layout of the premiere class cabins and features could be improved. Tony, originally from Leeds, moved to Vadodara, Gujarat, 28 years ago. Jet Airways has been a personal favourite between UK and India, also internally in India, for many years. Reasons include, reliability, in terms of flight times; excellent on-board customer service and experience; staff are friendly, helpful and will go the extra mile to accommodate reasonable passenger requests. 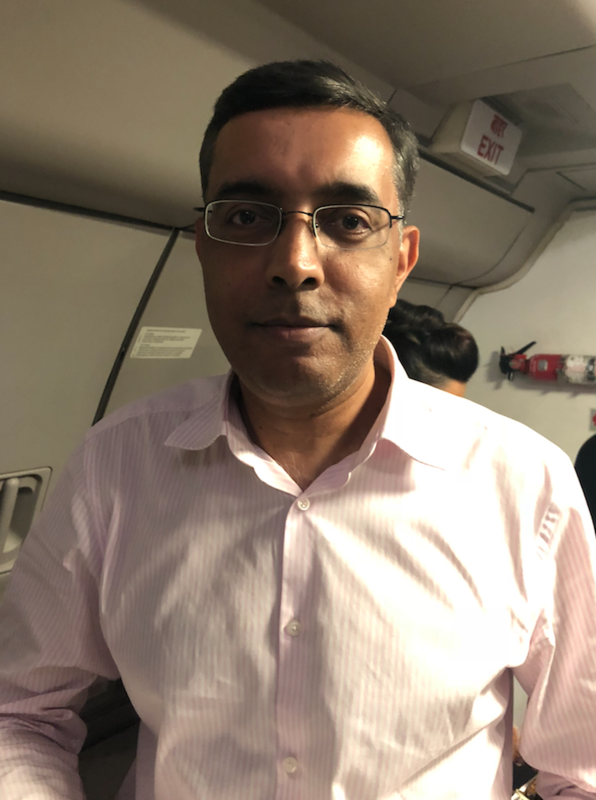 My thanks to cabin manager Abhijit and his team – Archana, Ruhita, Rupali, Ishani and Bhagyashree - on board the inaugural flight from Mumbai for their outstanding hospitality. Thanks also to Thereza, duty manager at Mumbai Airport. Jet announced its Manchester-Mumbai route in May as a four-times-a-week service. But demand has been so strong, the airline has already increased its frequency. 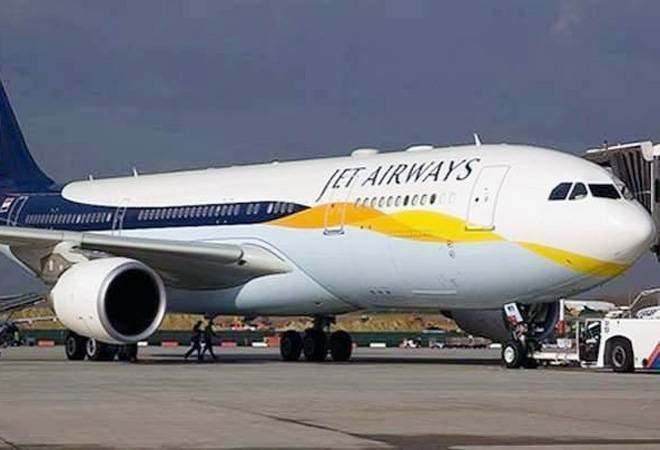 Jet will fly from Manchester to Mumbai on a Monday, Thursday, Friday, Saturday and Sunday and will operate on an A330-200, with 254 seats across business and economy classes. Jet Airways’ flight 9W 130 will depart from Mumbai at 2.30am and will arrive in Manchester’s Terminal 2 at 7.55am. The return flight, 9W 129 will depart from Manchester at 9.35am and arrive in Mumbai’s Terminal 2 at 12.40am. All local times. Return fares including taxes start from £391 (economy) and £1,458 (business class). For more information visitwww.jetairways.com or download the Jet Airways mobile app. 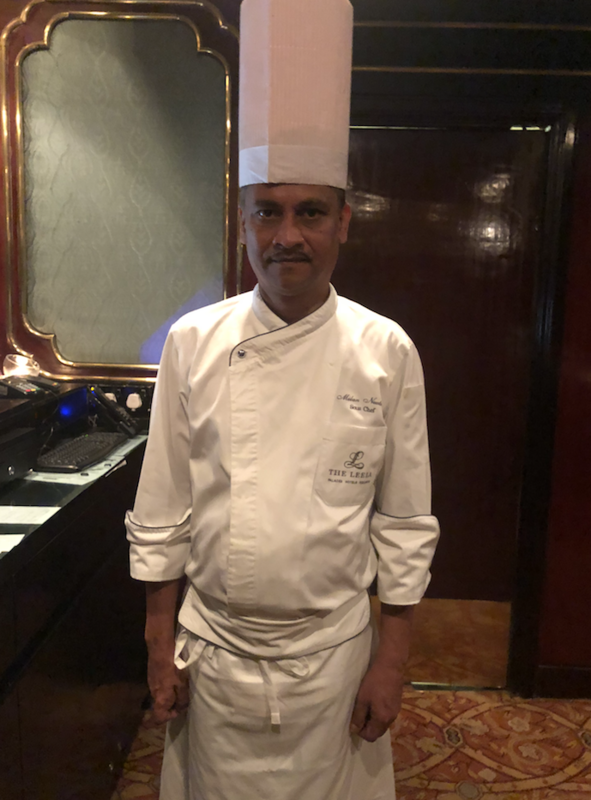 During my weekend away in Mumbai, I stayed at The Leela Mumbai, located just 5 minutes from Mumbai’s Chhatrapati Shivaji International Airport. Having experienced stays at hotels of the same rating, The Leela Mumbai, opened in 1986, is a cut above the rest. While its services are unmatched and amenities are of an ultra-premium quality, I was most struck by the professionalism, friendliness and superior guest service of all staff whom I came in contact with. The hotel’s PR Manager is Shradha Bhat, an outstanding champion of the hotel, but a role model in her industry. I was most impressed at her strategic, but realistic and high-level thinking which, in my opinion, is lacking in the PR sector in the UK. 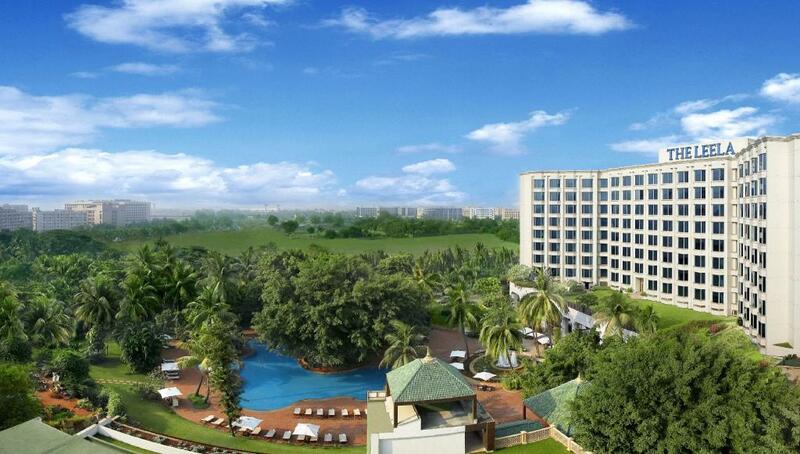 Shradha and her senior leadership colleagues are continuing the legacy of Captain C.P.Krishnan Nair, Founder Chairman, The Leela Palaces, Hotels and Resorts. Captain Nair “chief gardener of The Leela Group” was honoured with the Padma Bhushan Award in 2010 by the then President of India in recognition of his distinguished service of a high order in the field of trade and industry. He built his eco-friendly hotel empire on the Sanskrit motto “atithi devo bhava”, which translates to ‘Guest is God’.